Ethan is an avid reader. He may not be able to actually read, just look at the pictures and turn the pages, but he still has quite a collection of board books, picture books, book apps, special treasury and compilation books... he even has books in the bath. In my first space related post, I talked about finding space to fit all the things the three of us each have in the house and trying to make the most of space we have so we don't get taken over by toys. Today, I wanted to share a new space we have created just for Ethan. When it comes to books, Ethan has a selection in the lounge, on a shelf he can reach, including his Mr Men board book collection and some books that also play noises. He also has some books, mostly the special kind that he won't be allowed to get his mitts on for a while, on display on wall shelves in his nursery. I've always loved books myself and have wanted to create special nook for Ethan to read in, and let his imagination fly, as he gets older for a long time. And now I've created just that. It's only a small space and it was really easy to put together but I like it all the same and think it's a fun way to use the awkward space available in his nursery. It's the smallest bedroom, positioned over the stairs, so there's limited floor space. The overhang from the stairs extends into the room and on top, we have a build-in cupboard, which we use for all of Ethan's clothes and nappy bits and bobs. His cot is across one wall and we used to have a chair in the other corner of the room but found that we didn't use it any more now Ethan is older so decided to free up some space as up until now, he's never played in his nursery, only slept. Until Ethan needs a toddler bed, we're using this corner as a comfy space where he can sit and read with us. 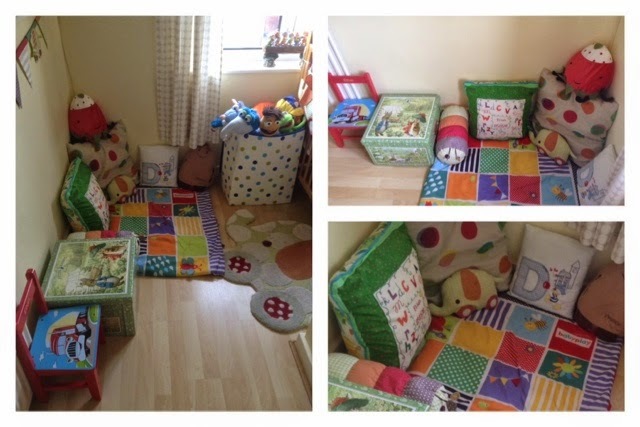 To create his reading nook, we folded his playmat, which he no longer needs as he's mobile now, and put cushions around the edge, along the walls. 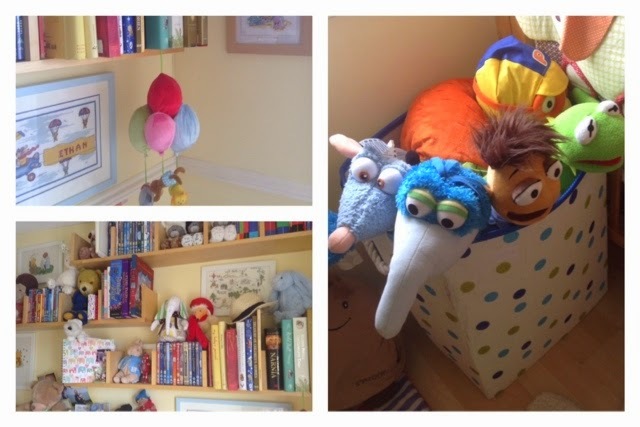 We have a Peter Rabbit storage book with some small toys and bedtime books in, plus a laundry hamper that we use to keep most of his soft toys. It's a very small transformation am done day I'd like to do some,thing similar but with a canopy hanging above. to make it feel like a den, but for now, I'm really pleased with how cute and inviting this corner of the nursery looks. 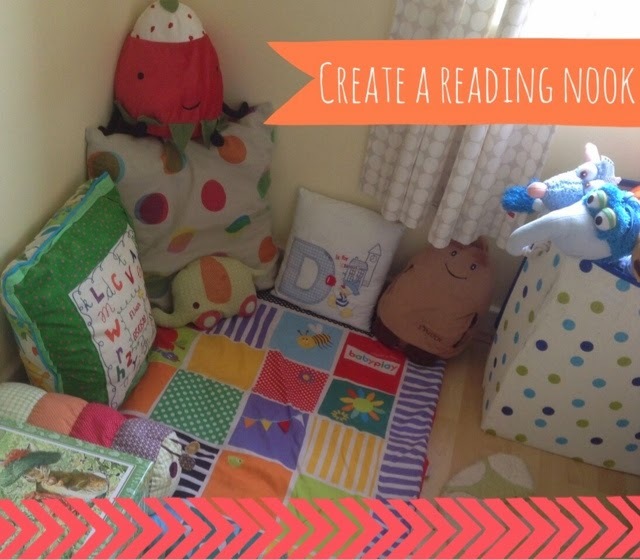 That reading nook is adorable - I loved (and still love) reading in a cosy corner; the best way to read in my opinion.